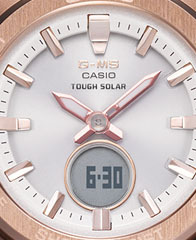 Sophisticated G-MS solar powered model. 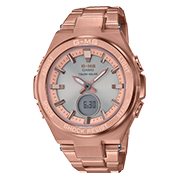 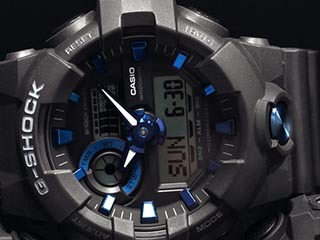 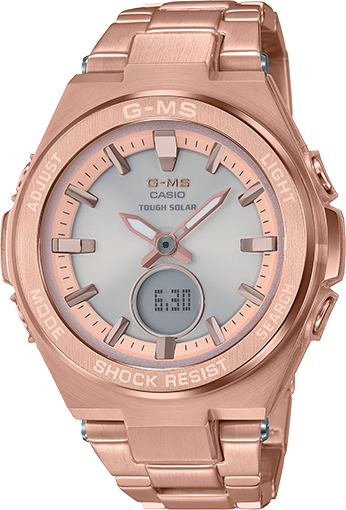 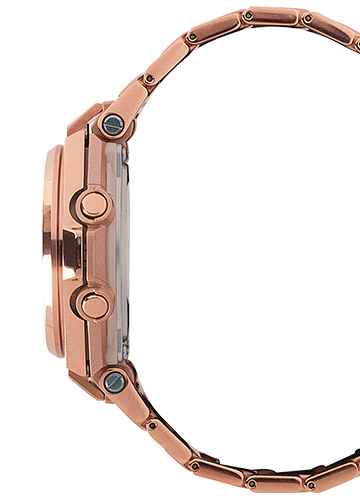 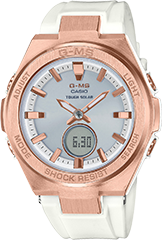 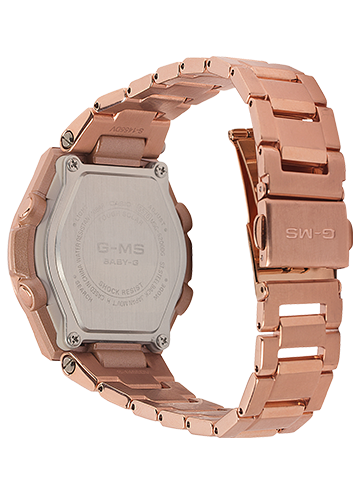 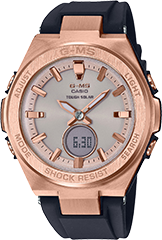 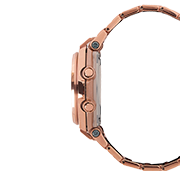 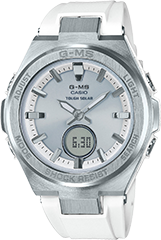 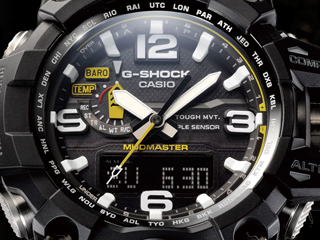 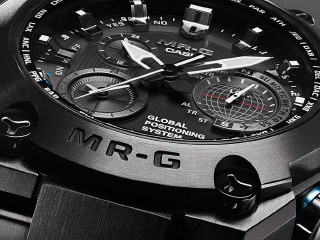 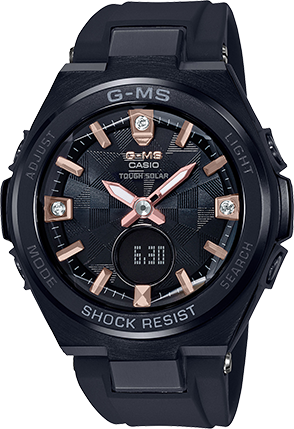 The sharpness of the design comes from cases, bezels, and bands made of solid metal, and the metallic look of the hour markers. 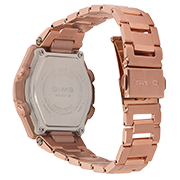 A new structure makes it possible to create a watch with a smaller face and thinner case, for a timepiece that fits right in for work and leisure time. 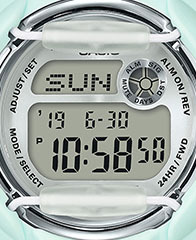 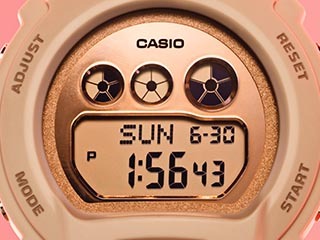 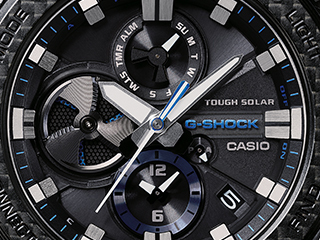 Function-wise, these models feature World Time, Tough Solar, LED light and more.The cool designs and essential features of these models provide constant support for the active woman throughout the entire day.